The event marketing landscape has changed as promoting events on social media has become a game-changer. Enter the event hashtag. This little pound sign with an accompanying catchy phrase, word, or acronym has carried tremendous weight in determining the success of an event. Hashtags for events, without a doubt, are important elements in promoting events on social media. 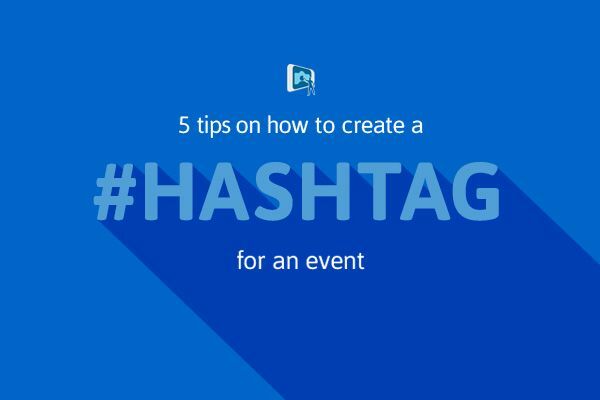 If you’re in the planning phase, follow these tips on how to create a hashtag for an event. Keeping it simple is a cardinal rule when creating hashtags for events. Remember, an effective hashtag is simple, concise, and memorable. Hashtags also occupy character space on Twitter as well. This is why wordy or lengthy ones could impact how effectively it’s used. Make sure there isn’t a disconnection between your business and the event hashtag. Choosing a relevant hashtag lets people easily know who it points back to. It also provides context for your event, and any posts associated with it. Keep in mind that your event hashtag could be modified by other users. People might not spend time capitalizing letters, so always keep readability and word associations in mind. Will your hashtag be misinterpreted if it isn’t capitalized or if it’s shortened? A fine example of this is the hashtag #SusanAlbumParty, which later evolved to #susanalbumparty. Oops! It’s also important to give some thought to acronyms. Hashtags which are lengthy, capitalized, or mixed with letters and numbers can sometimes be confusing to read, and may appear jumbled if done incorrectly. An example of a good hashtag is #YWCA2015 as it’s easy to read, relevant, and concise. While this should go without saying, spend a little time on researching hashtags. Be sure that yours is original so attendees can talk about the event associated with the correct hashtag. It might be rare, but it’s important to ensure your hashtag isn’t actually linked to a negative event or hashtag. 5. Let your creativity shine. Be unique. Don’t be afraid to be unique! Creating hashtags for events should be a fun and creative process, and never daunting. Perform a quick search to check if your event hashtag has been used before. Selecting a unique hashtag is important as it is a key tool in easily monitoring event chatter. These tips are the general rules of thumb on how to create a hashtag for an event, but are by no means exhaustive. Remember, the nature of social media is always evolving, so keep an eye on what other social media professionals are doing. Most of all use your common sense, and have fun! Looking for other ways to make your event stand out? Take a look at these great ideas for branding your event. Consider a photo booth rental as well for branding purposes. 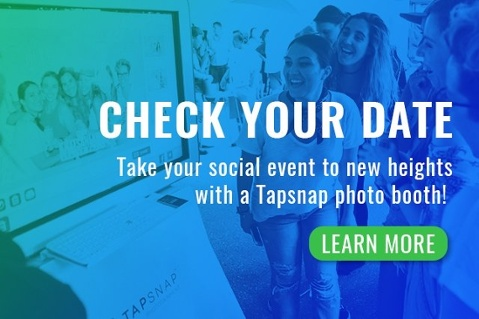 Read on to see some unique events where you can set up a photo booth!